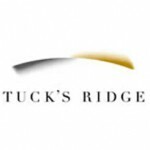 Tuck’s Ridge is a consistently fine producer of Chardonnay from Mornington, from the estate through to the Single Vineyard wines they are wonderfully structural and age worthy. The wine is a light yellow in colour, the nose is full and aromatic with melon and peach complemented by some subtle but rich lees inputs. There is a mentality that builds across the palate with gun flint and wood spice characters providing an enjoyable mouth feel, and a great contrast to the fuller stone fruits. The finish is long and focussed.